Well this is not exactly a fishmarket. 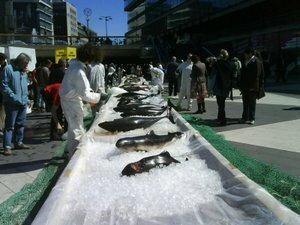 It is a demonstration from greenpeace save the whales. Make no mistakes this is real dead whales...there where a whole bunch oh different kinds. 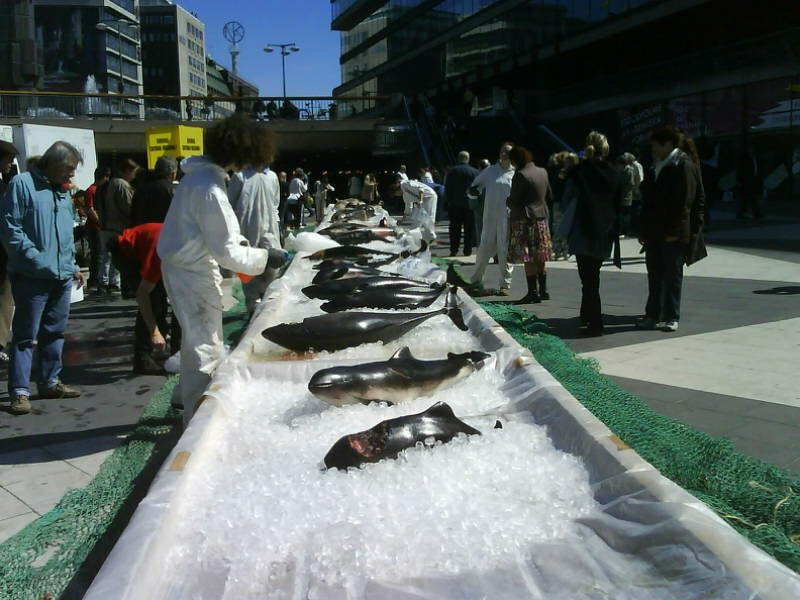 All that are threatened by extinction in the baltic sea. The reek of the dead whales was simply horrible..if you stood down wind. It's was the most disgusting demonstration I've ever seen in my life. I felt like womitting.